Riri Woo is pretty similar to the Ruby Woo lipstick. But I just wanted something from the Riri Collection, the packaging was just to pretty! 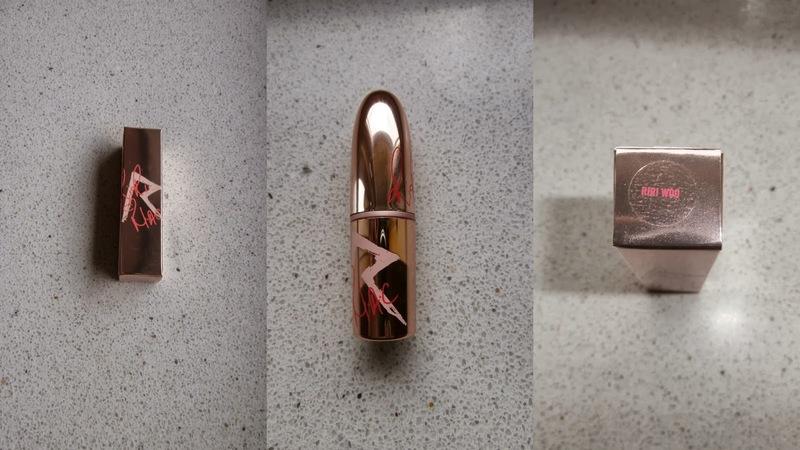 The packaging is rose gold and has Riri <3 MAC written on it with a big R that is the same as on her Rated R album. Isn't this just to die for? On to the lipstick itself. 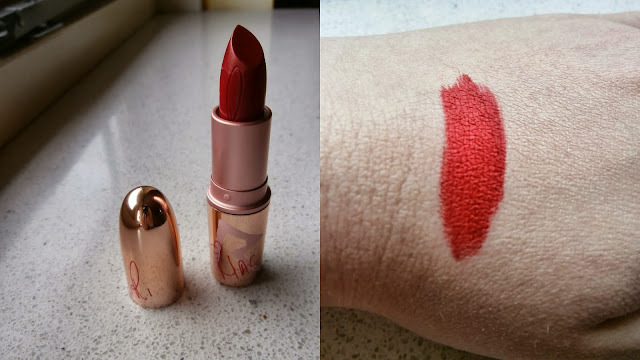 It is a gorgeous matt cool red lipstick. It has Riri written on it which is a nice detail. The colour itself is amazing. The pigmentation is also really good. I have a few matt lipsticks in my collection and normally they make my lips very very dry. This one does not do that. My lips feel a little bit dry, but I think that is the matt formula. Just put a lipbalm underneath and you will be fine for a couple of hours. Personally I think it is suitable for all skin types. It is just the perfect red matt for all occasions.